incredibly fed blog: Jamon, jamon! It's going to be a long holiday weekend of flag waving and good cheer so this one would be great for festive gatherings and if you're lucky will last a few days so you won't have to cook again! 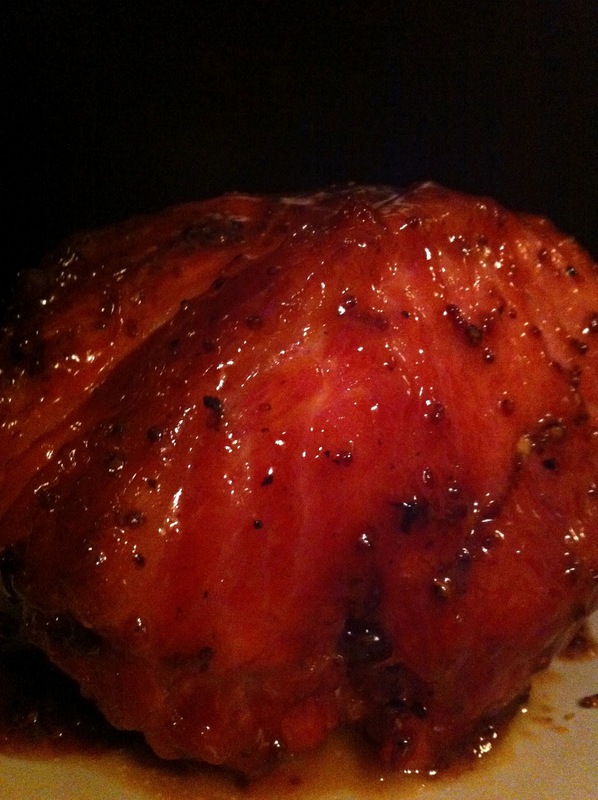 This ham is delicious served hot or cold, indoors or out, it was always done this way at Christmas at home but would also make a great picnic dish. The cheese cauliflower was dished up at any time during the year except at Christmas which is a great shame because they make such a good combination. So good in fact that here we have decided to pair them up. We usually buy a small boned joint of unsmoked ham. Size really depends on how many you are intending to feed. Remember to allow for some left overs as it is delicious cold with pickles or chopped to make a pie filling with chicken or mushrooms. The cauliflower is delicious too and if there is any left over can be flash fried on a hot pan and will taste just as nice if not better that when it was first made. It can also be combined with some mash potatoes to make an interesting variation on the potato cake theme. Well that's the left overs dealt with. Now lets look at the prep. If possible soak the ham overnight which will help reduce some of the saltiness. Then place the ham in a saucepan large enough so that it can be covered with liquid. For interest we suggest boiling the ham in a sweet liquid such as cider, pear cider, apple or pineapple juice. Lager beer is also a good option. If using beer or cider you can add more flavour by throwing in star anise, a cinnamon stick, some pepper corns and a couple of bay leaves. While this is cooking prepare the glaze by mixing several table spoons of honey with one of grainy mustard together with a little dark soy sauce and sesame oil. After about an hour (depending on the size of joint) remove from the saucepan and slice off the outer layer of fat. Pour over the glaze mixture and place in a hot oven for about 30 to 45 minutes, basting constantly until the glaze remains in place. Take the joint out of the oven and allow to rest for a few minutes before carving. For the cheese cauliflower break the cauliflower into florets and place on a ceramic baking dish. Make a bechamel sauce by melting butter in a saucepan and mixing in some plain flower. Slowly pour in some milk while whisking the mixture all the time to avoid lumps. Add a strong cream cheese to the mixture and a pinch of mustard powder. 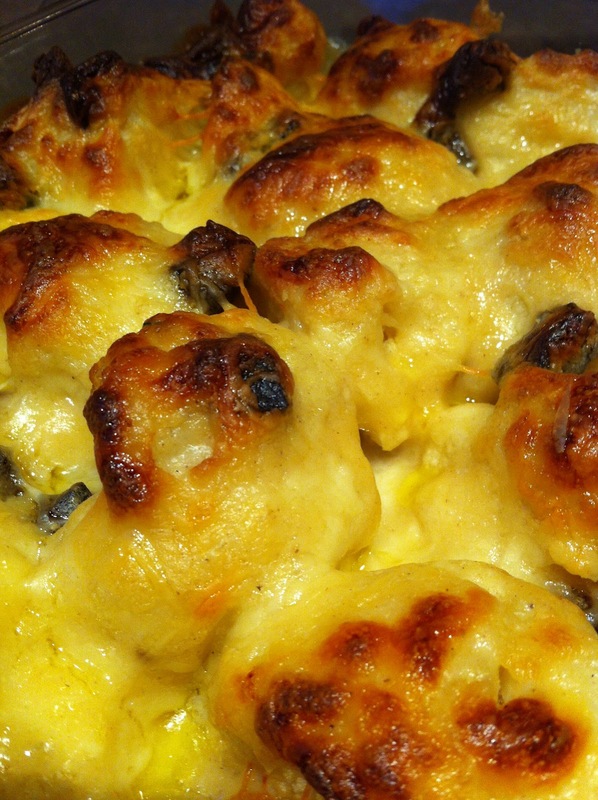 Pour the creamy mixture over the cauliflower and sprinkle with grated cheddar. Place in an oven at 180C for approximately half an hour.